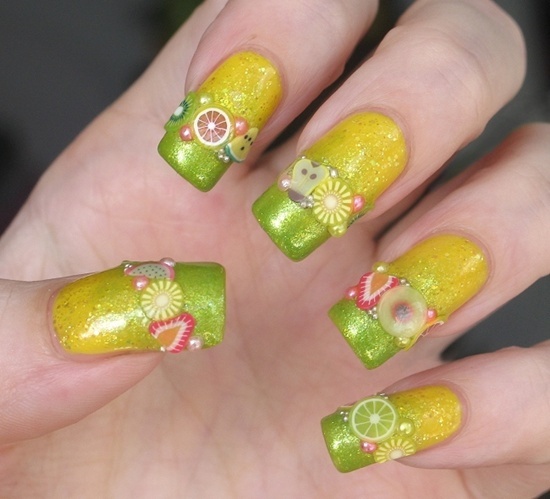 This fashion season is about all things fun and flirtatious. 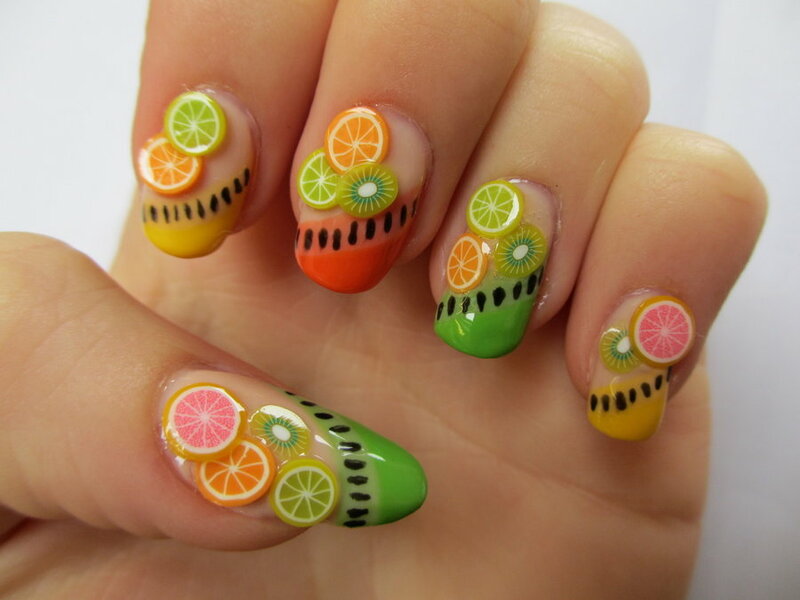 What could be more colorful then a fruit nail design adorning your manicured hands and pampered feet. 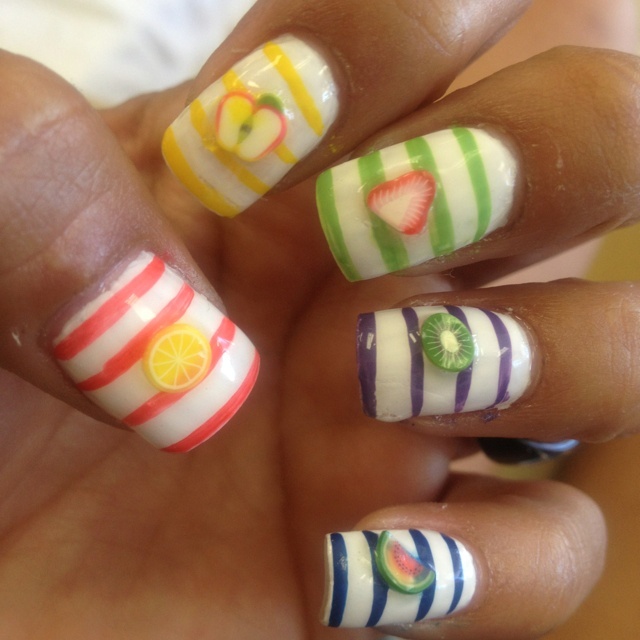 Fruits nail designs are gorgeous and lovely to look at. 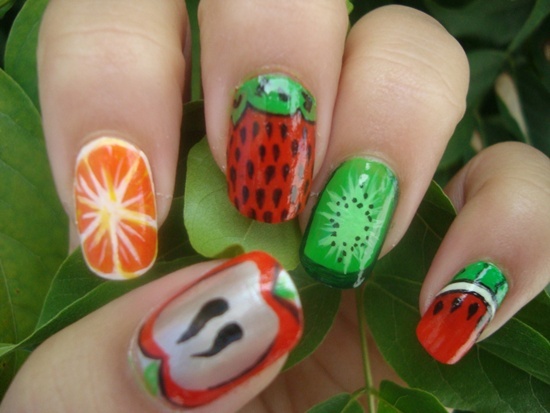 You can bring out the colorful side of your nature with some of our best fruit nail art. 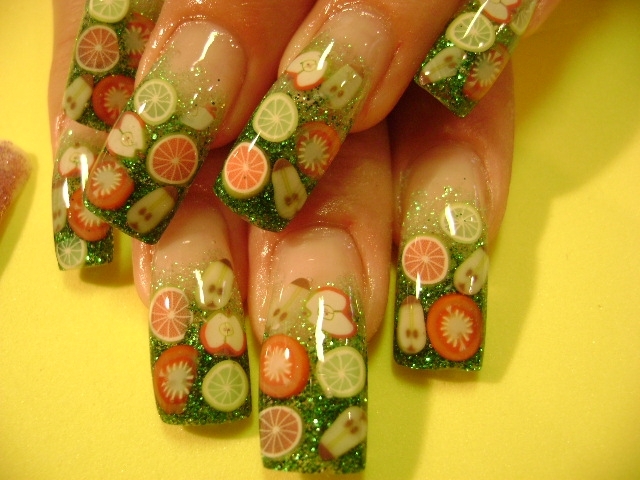 Too weary of appearing like a fruitcake, don’t worry we have got something for the sophisticated divas too. 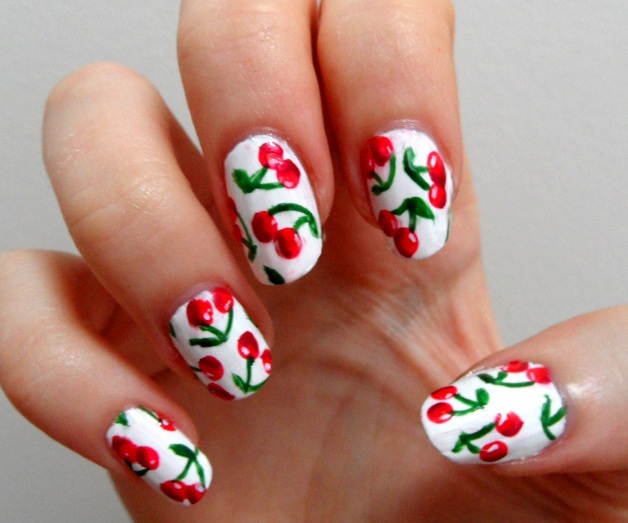 You don’t need to go all fruity, just a single sweet cherry on your long finger can add that lovely romantic touch to your finger nails. 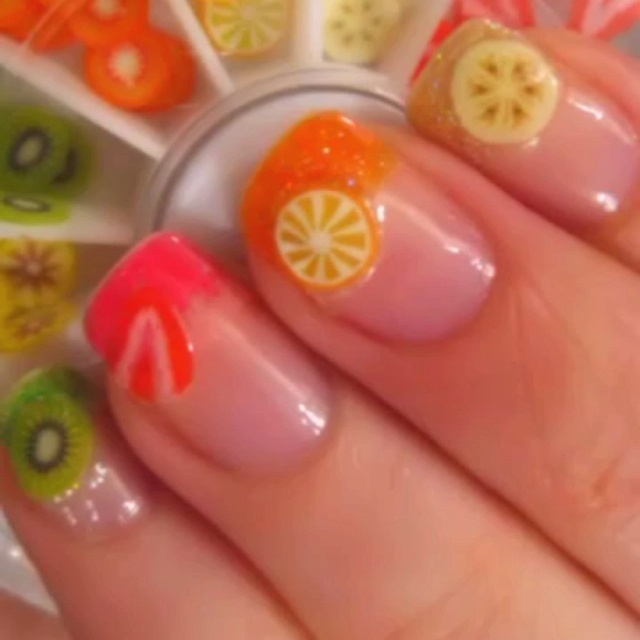 Fruit nail art is for girls who are fun loving. 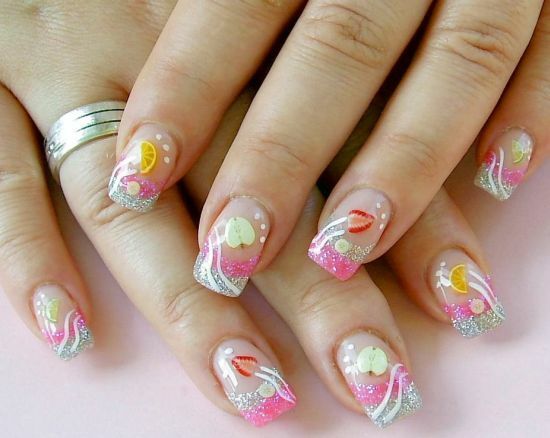 Who love to let their hair down and have fun. 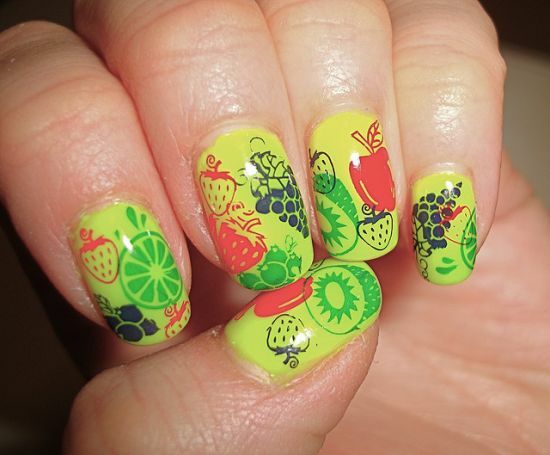 Why you may ask, because fruity is fun, it’s flirty and its absolutely rocking. 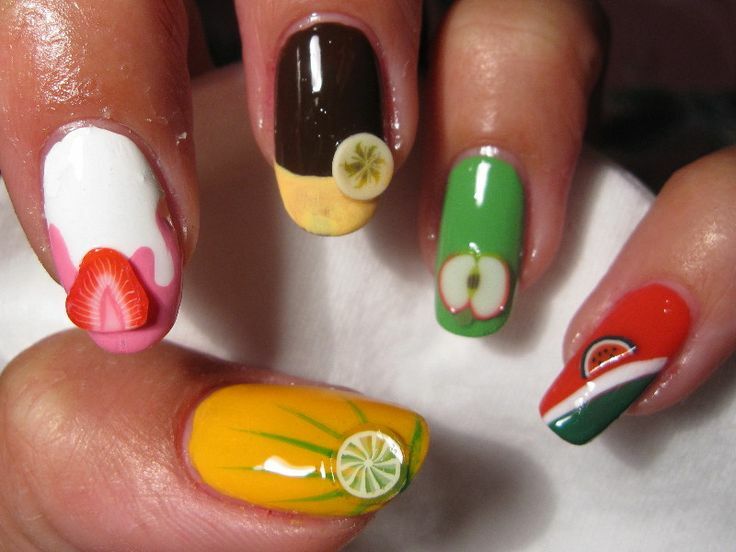 So why stay behind the trend and go for something which everyone seems to be doing. 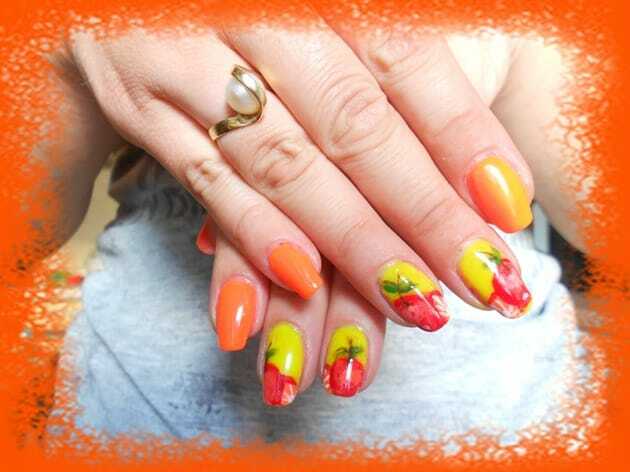 Try some of the fruit nail designs which will make you appear downright trendy and exactly like the fashionista that you are portraying yourself to be! 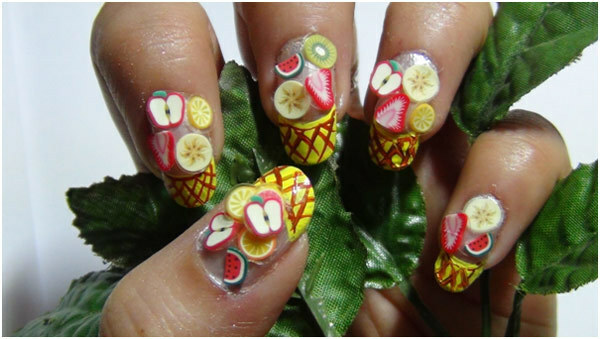 There are a number of fruits which you can choose for a thematic fruit nail design. 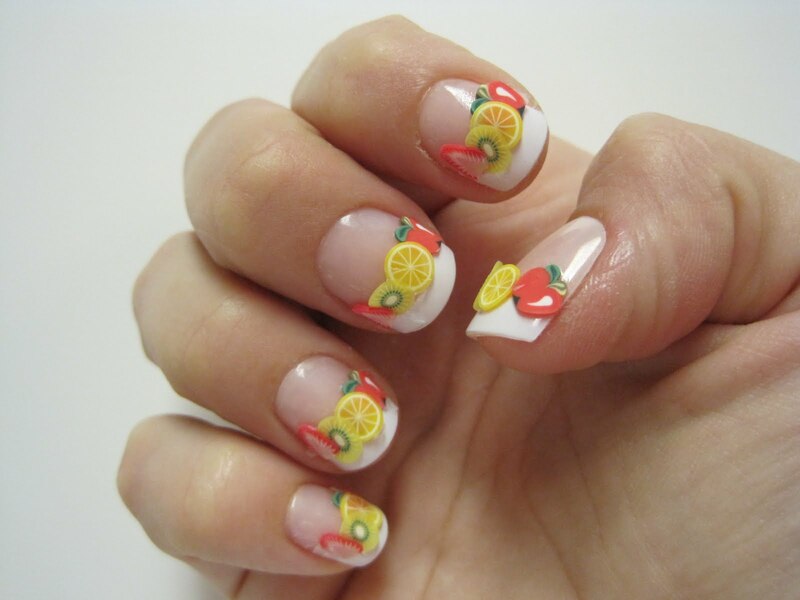 Fond of apples, love berries, tangy like a mandarin. 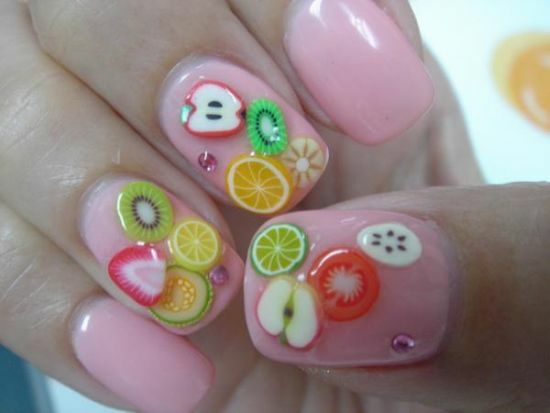 There are just so many fruits which you can choose from. 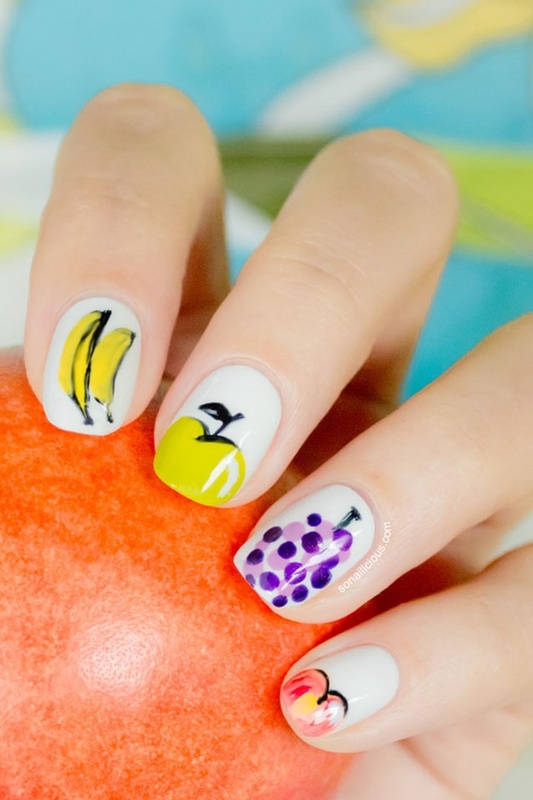 There’s a fruit out there to compliment each outfit that you wear. Let the party began with fruity nail art designs. 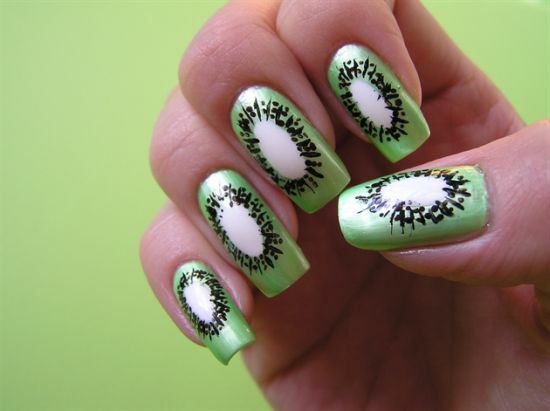 You can take inspiration from nature and flash your nails for all to see. 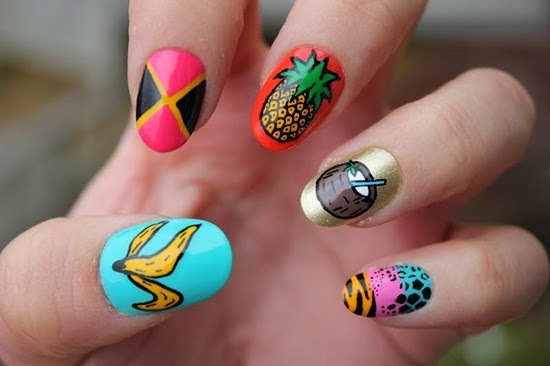 Bring out your amusing side with some of the designs carefully selected for your nails. 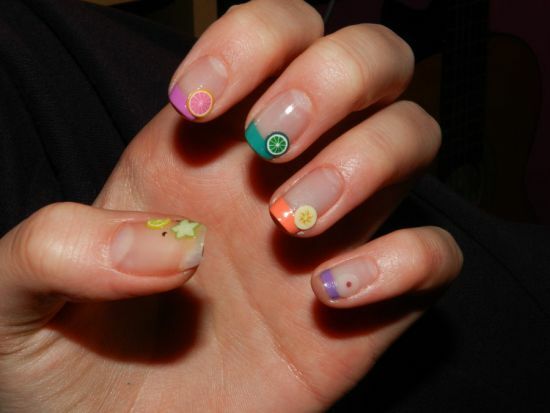 Deviate from the norm, let go of all things boring. 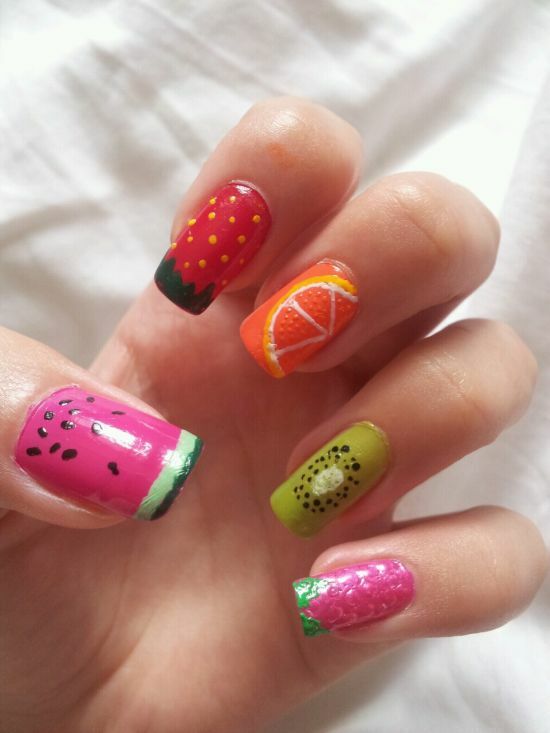 It’s all about embracing your inner happiness and what other way to bring out your cheerful side then to add a bit of fruity fun to your nails. 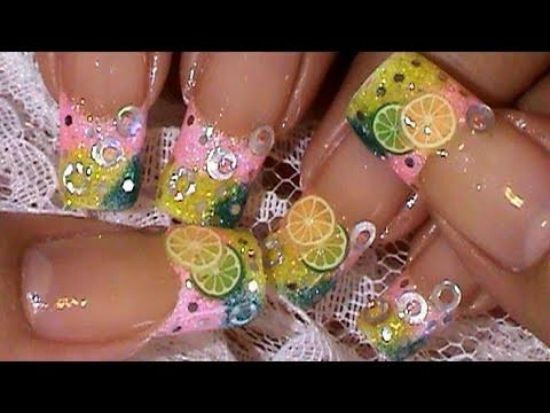 Though fruit nail art looks good on just about anyone, read the following to know how you can go about sporting one without looking comical. After all you want to appear exuberant and witty! •	Try to lengthen those nails a bit. 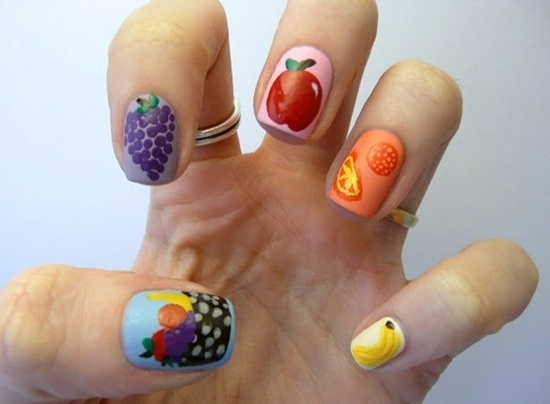 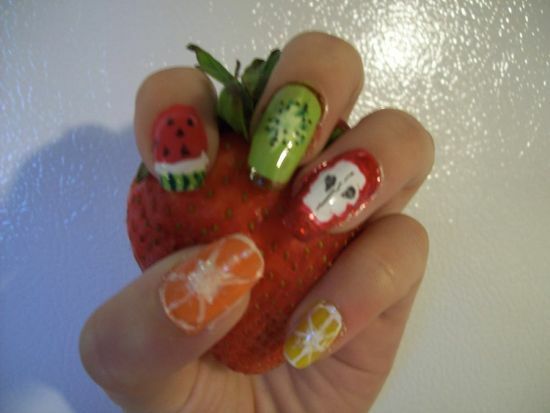 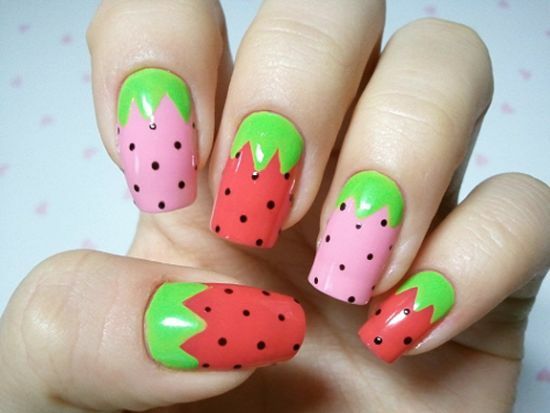 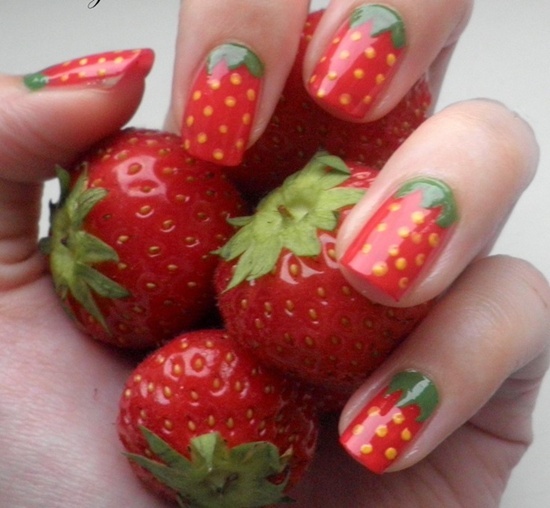 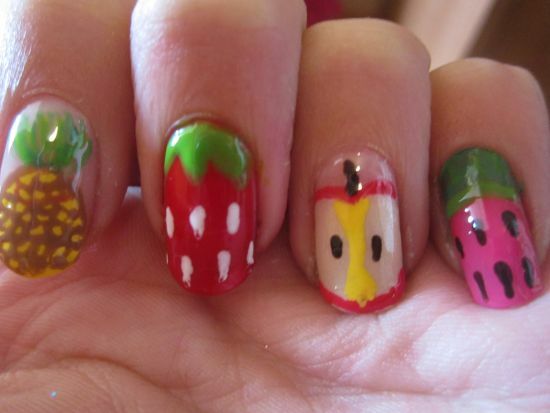 A fruit nail art looks great on nails which are on the longer side. •	Choose colors which compliment your skin tone. 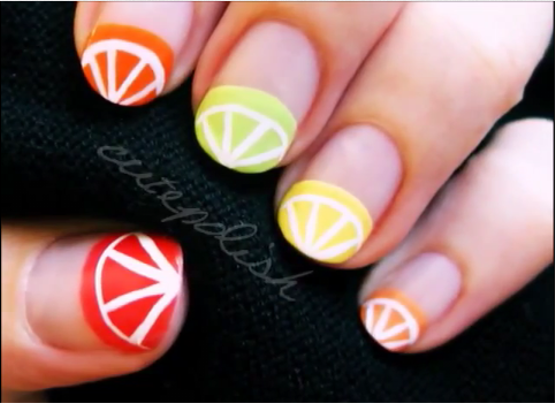 This goes a long way in making your nail art look fabulous. 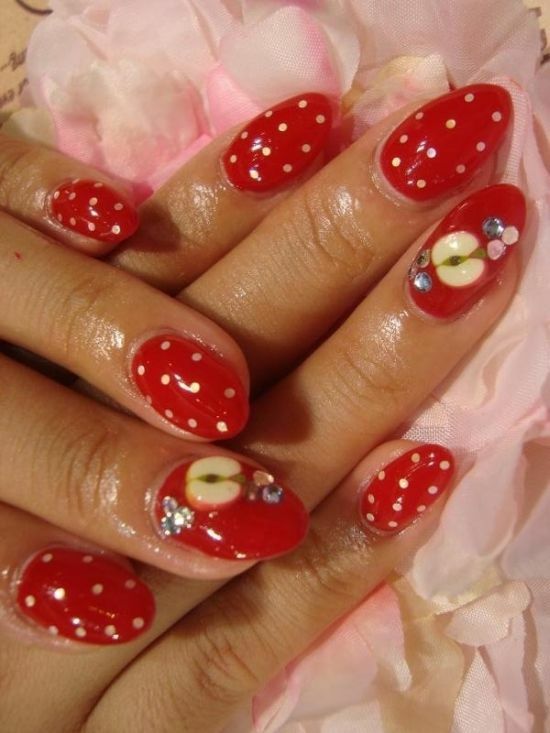 There are some colors which look great on pale skin and for girl with warm tones shades of red and tangerine look great. 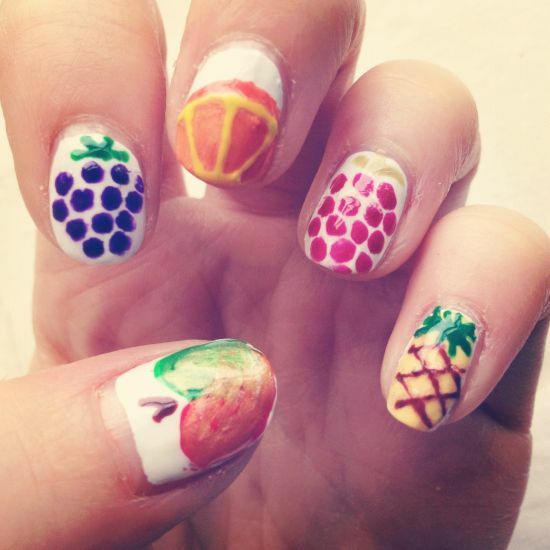 •	Try using fine detail brushes to paint on the fruits; this will help keep your nail art looking stunning without the lacquer appearing hazy! 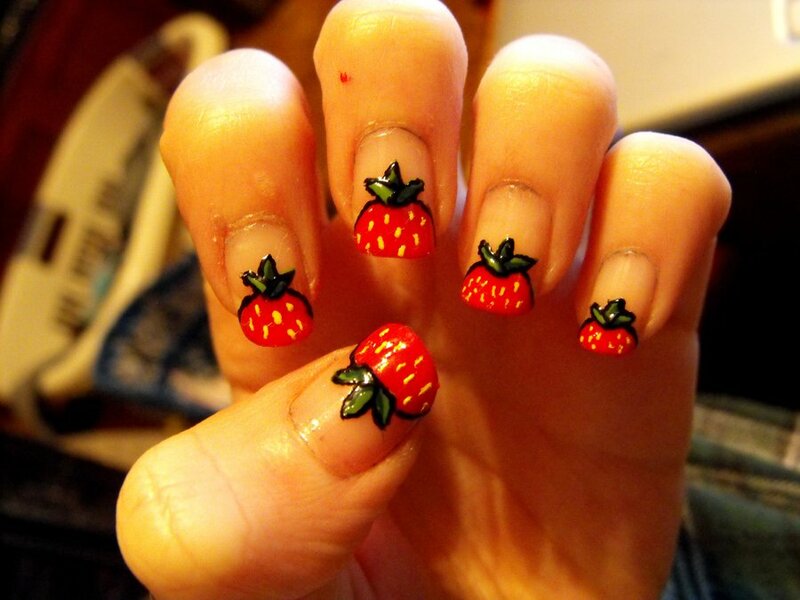 •	After finishing your nail art. 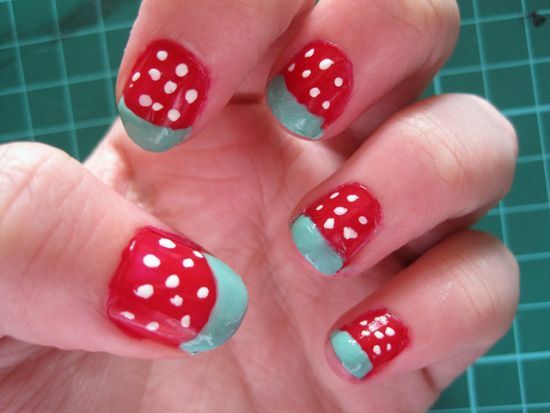 Make sure to let it dry for 15 minutes before applying a topcoat. 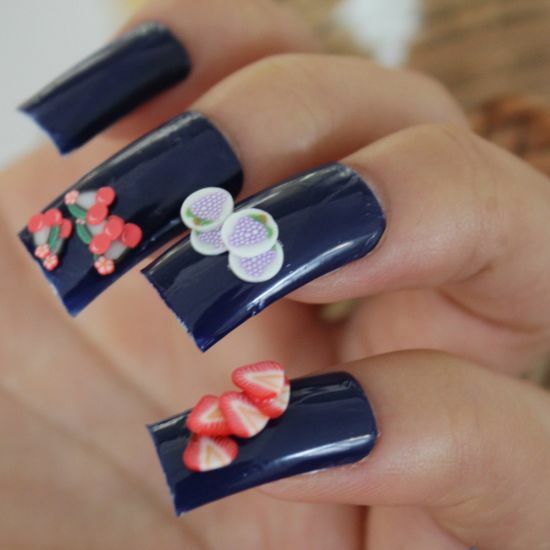 This way you allow the nail lacquer to settle down. 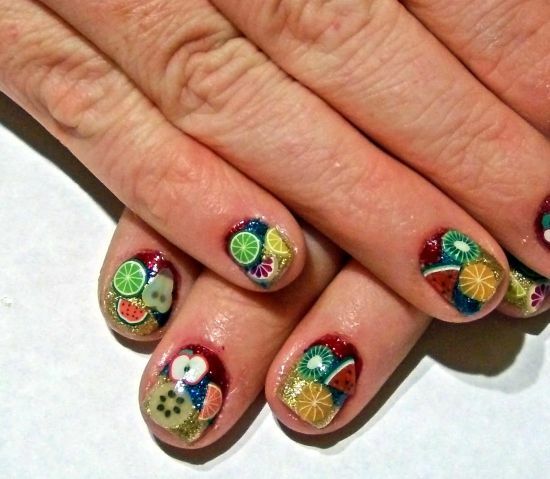 A good top coat keeps the nail art looking good for more days. 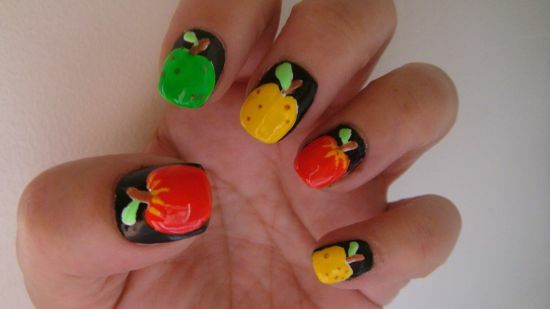 You don’t want your artistic handy work ruined in less than a day! 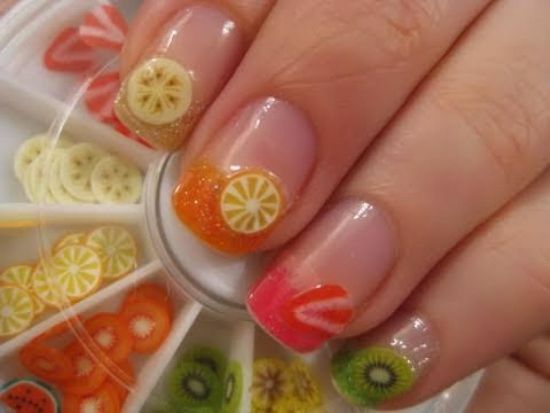 Check out these fabulous 36 fruit nail designs which will amuse you, make you smile and will definitely appeal to your sense of humor as well!